Meet the 3rd Gen Nest Learning Thermostat™, now in three new glossy colors. The Nest Thermostat programs itself, automatically helps you save energy when you’re away and can be controlled from anywhere. 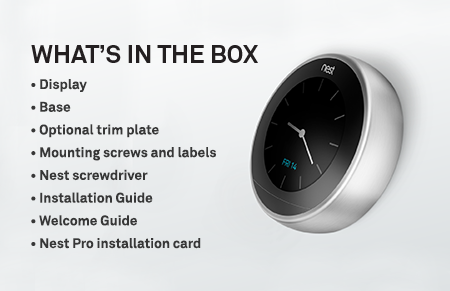 And now, the 3rd gen Nest Thermostat is thinner, sleeker and more beautiful than ever. The display is even bigger and sharper.